Crohns recipes can play an important role in preventing Crohn's symptoms or flare ups, regardless if a person suffers from Crohn's ileitis or another form. It is no secret that the food a person ingests can have positive or negative affects on their digestive system and gastrointestinal tract. However, just because a person with Crohn's has to watch what they eat, and omit various food products from their diet, doesn't mean they can't enjoy the foods they eat. The following are five foods that are generally considered safe for a Crohns recipes diet and can provide extra nutrition and/or flavour. 1. Honey - Honey is a natural sweetener that has healing properties. It is a good source of antioxidants and is ideal for treating diarrhea, as it encourages rehydration in the body and soothes the stomach. In addition, honey has free sugar molecules which actually improves brain function and reduces fatigue. It is imperative that you purchase local raw honey to ensure you are receiving all of its nutrients and enzymes in your crohns recipes. The best place to look for this honey is in health stores. 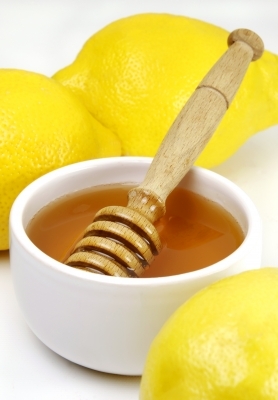 Recipe tips - Honey is perfect for sweetening your tea and other beverages. Also consider using honey as spread for your bread, and as an alternative to sugar required in certain recipes. 2. Coconut oil - Coconut oil contains a significant amount of lauric acid. This acid is easy to digest, and also works to strengthen the immune system, allowing protection against bacterial, viral and fungal infections. In addition, Coconut oil detoxifies the liver, and aids in building fats, lipoproteins, bile and hormones which are needed for digestion; thus creating a healthy digestive tract. Coconut oil encourages the absorption of food nutrients, and speeds up metabolism. Recipe tips: Use coconut oil for cooking. Use coconut oil as the substitute in crohns recipes that call for margarine, butter or other unhealthy oils. In addition, when left in room temperature, virgin coconut oil solidifies and can be used as a spread for bread in place of butter or margarine. 3. Soy Products - Soy products such as soy milk, soy burgers, soy meats, and soy cheese, tempeh and tofu, are excellent sources of protein and are ideal replacements for dairy. Some believe soy helps to reduce bowel inflammation associated with Crohn's disease. Recipe tips: Soy products come in many forms such as meats, burgers, cheese and milk. By substituting regular meat and dairy products for soy, and including dark leafy green vegetables, you can enjoy the meals you've always liked, and still obtain the nutrients you need. Try adding soy milk or soy vanilla milk to cereal, in tea or fruit smoothies, and top off your salad with soy cheese. 4. Extra Virgin Olive Oil - Extra virgin olive oil is vegetable based and an excellent addition to crohns recipes. This oil helps to protect your intestines as it contains potent antioxidants. Olive oil also increases the body's absorption of a number of vitamins including A, D, E, and K. Furthermore, it encourages faster healing and increases metabolism. Recipe tips: Olive oil is a flavor enhancer and is a fantastic alternative to margarine or butter for recipes and as condiment. For instance, you can use it as a salad dressing. 5. Essential Fatty Acid Foods - Be sure to spice up your recipes with foods that are high in essential fatty acids, as they are known to prevent inflammation within the bowel. Good sources of such foods include dark green leafy vegetables, rapeseed, walnuts and flaxseed. Recipe tips: Introduce salad to your diet, and don't be afraid to add nuts and seeds to recipes. For instance, if you have a cookie recipe you love, add some walnuts. Remember, not everyone's Crohn's symptoms are triggered by the same foods. Therefore, make sure you find out what foods aggravate your condition, so you can avoid them. If you are having a difficult time finding crohns recipes that work for you, it's a good idea to take your concerns and questions to a qualified dietitian who can help you find answers, and start you on a diet that works for you.